On December 16th, Guy Ritchie's Sherlock Holmes: A Game of Shadows will be hitting the theaters. The film picks up where the first installment, Sherlock Holmes, left off, thrusting us directly into the escalating conflict between Holmes and his arch-nemesis Dr. Moriarty. A Game of Shadows makes for an enjoyable evening's entertainment with plenty of witty banter, stunning turn-of-the-century scenery, a great cast, and ... too much action. 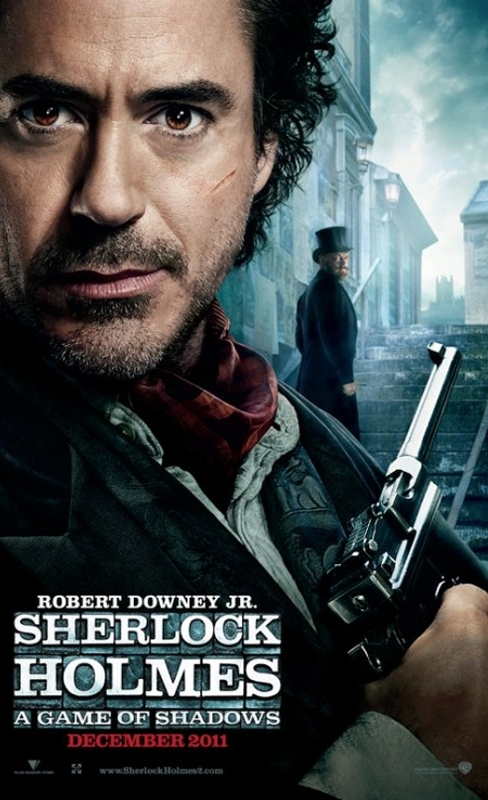 To an even larger extent than in the first installment in the series, Sherlock Holmes is transformed from a man of the mind known to throw the occasional punch to a full-blown action hero. For the most part, though, this is tastefully done. The character I by far enjoyed the most was Mary Morstan (Kelly Reilly). Her rivalry with Holmes for Watson's affection is very convincing. Almost equally delightful is Stephen Fry's portrayal of Mycroft Holmes, Sherlock's brother. Jared Harris plays a fair Dr. Moriarty, although I find his character not quite fear-inspiring enough. The faceless Dr. Moriarty from the first installment seemed much more sinister. Even die-hard disciples of the Sherlock Holmes canon will find little to criticize. While the film does take a number of liberties, Arthur Conan Doyle aficianados will realize where Holmes is headed early on in the film. The ride getting there (with a band of gypsies over the French-German border) is worth taking nonetheless.